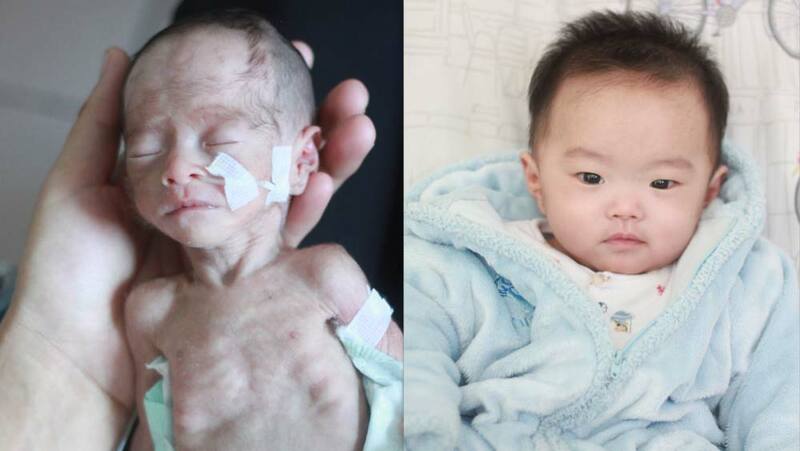 Before he was two weeks old, baby Xiang had been abandoned, twice. First by his mother shortly after his premature birth. Then by doctors at his local hospital in central China. Xiang was fighting a respiratory infection, losing precious ounces, and struggling to breathe. Doctors tried for 10 days to stabilize him, but they ultimately concluded there was no hope. They disconnected the baby’s ventilator and discharged him. His orphanage requested help from Chunmiao Little Flower, a nongovernmental organization in Beijing that cares for abandoned babies with complex medical issues. 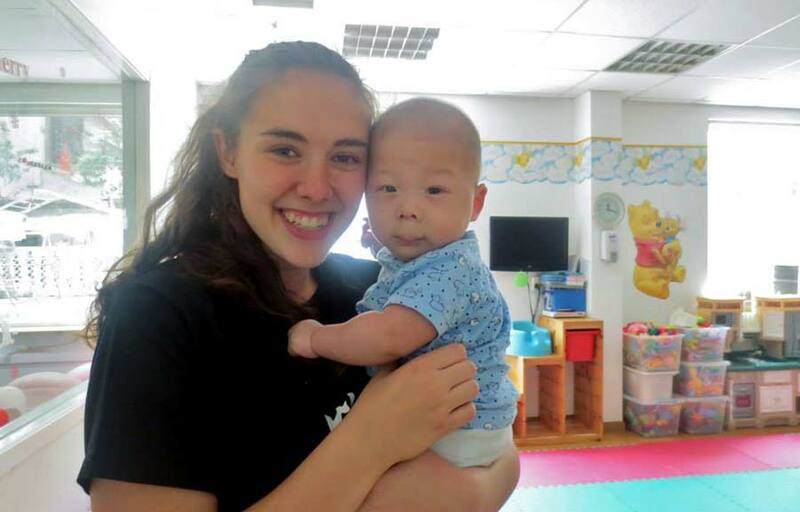 A Chunmiao Little Flower staff member came to care for the baby in his final hours. But Xiang wasn’t ready to give up. Neither was his rescuer. The staff member made a risky train trip—holding the tiny infant inside her shirt against her skin for six hours—to see if Beijing doctors could help him. Xiang upon his arrival at Chunmiao Little Flower in August 2014 (left) and in March 2015. When he arrived at Chunmiao Little Flower, he weighed less than 2 pounds. 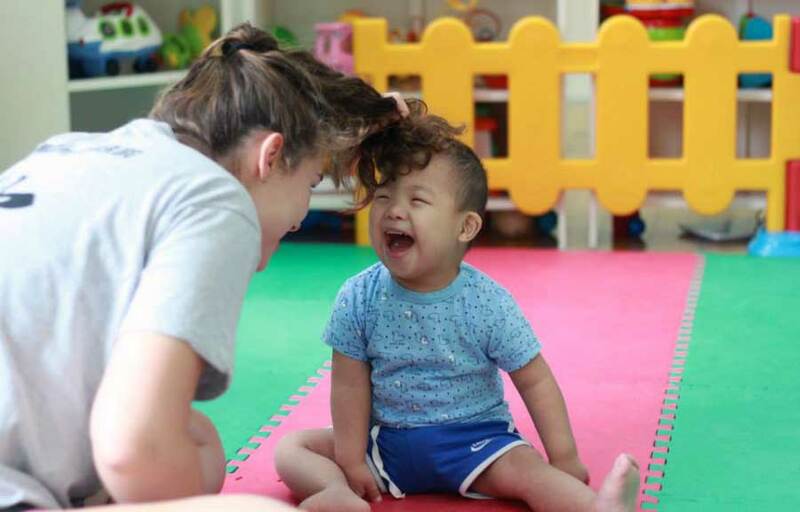 When Notre Dame undergraduate Emily Vincent arrived at Chunmiao Little Flower in summer 2015, Xiang was a healthy 9-month-old who had just learned to crawl. Vincent discovered Chunmiao Little Flower on a service trip during high school in 2013. There, she learned the extent of China’s issue with orphaned and abandoned children. There are an estimated 600,000 abandoned children in China—98 percent of whom have disabilities. Emily Vincent with Qi at Chunmiao Little Flower in 2013. That first experience at Chunmiao Little Flower set the course for Vincent’s future—and, ultimately, led her to choose Notre Dame, inspired by the University’s devotion to human solidarity and concern for the common good. The Morristown, New Jersey, native was selected for Notre Dame’s Hesburgh-Yusko Scholars Program, which seeks to develop transformational leaders who will make a difference in their communities, the church, and the world. Through the program, she has been able to travel back to Chunmiao Little Flower twice, first to develop a deeper understanding of the issue, and now to begin conducting research. Vincent, a rising junior and a Glynn Family Honors scholar, chose to major in anthropology and Chinese to further explore the nuances of China’s political and social structures. Her Notre Dame liberal arts education is equipping her with the mindset, philosophy and tools she needs to address complex challenges in a thoughtful, empathetic way. “Looking at an issue from a different culture, we have a tendency to think, ‘Oh, I know what I’m doing. I have the best idea for solving this problem,’” she said. “And it’s been really important for me to avoid doing that. 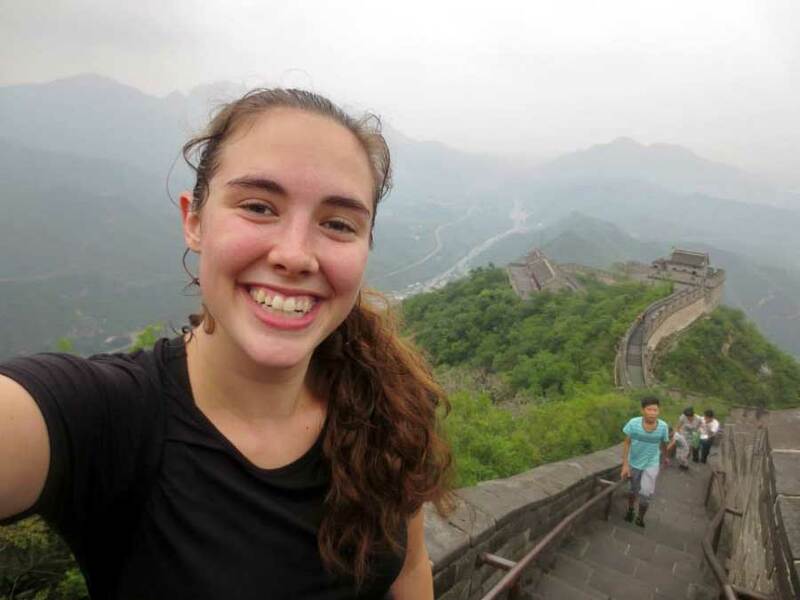 Notre Dame undergraduate Emily Vincent at the Great Wall of China. With funding from the Hesburgh-Yusko Scholars Program, Vincent volunteered at Chunmiao Little Flower for six weeks in summer 2015. Interacting with the children each day, she learned techniques like how to pick up an infant who is recovering from open-heart surgery and how to help a baby stretch and move for physical therapy. As Vincent walked into Chunmiao Little Flower for the first time, she was awestruck by its cheerful, home-like environment. Inside the bright, well-kept building in the suburbs of Beijing, a group of curious, exuberant toddlers explore a play area covered in colorful foam tiles and surrounded by a low plastic fence. Other than the outward signs of cleft palates, surgery scars and oxygen tubes, it could be a scene from any daycare. Vincent playing with An, who had recently undergone heart surgery. 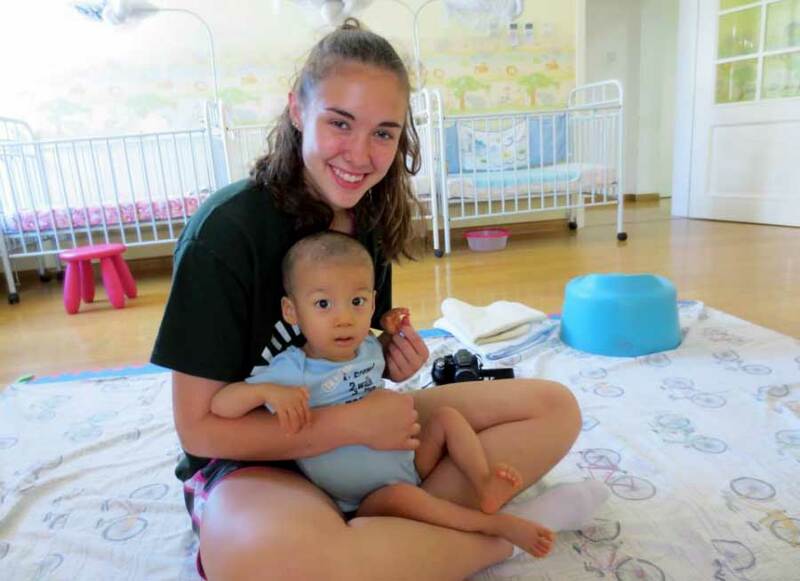 Emily Vincent at Chunmiao Little Flower with baby Yu in 2015. Upstairs, bustling ayis —employees who seem to be one part nanny and one part nurse—move between sunny infant rooms with gentleness and efficiency, rhythmically patting babies’ backs to put them to sleep, administering medicine and bottles, checking feeding tubes and bandages, taking one child to the treatment room to have a new cast put on a club foot. Chunmiao Little Flower works with more than 60 orphanages in China, taking in and treating children who, in most cases, would not otherwise survive. “It’s such an amazing feeling to know there is a place that is helping these children who otherwise would not have that care, would not have someone making sure they get what they need,” Vincent said. This summer, Vincent returned to Beijing, researching the effects of a new Chinese law imposing stricter regulations on thousands of foreign NGOs. The law requires NGOs to obtain an official Chinese sponsor or host company and to register with the police. 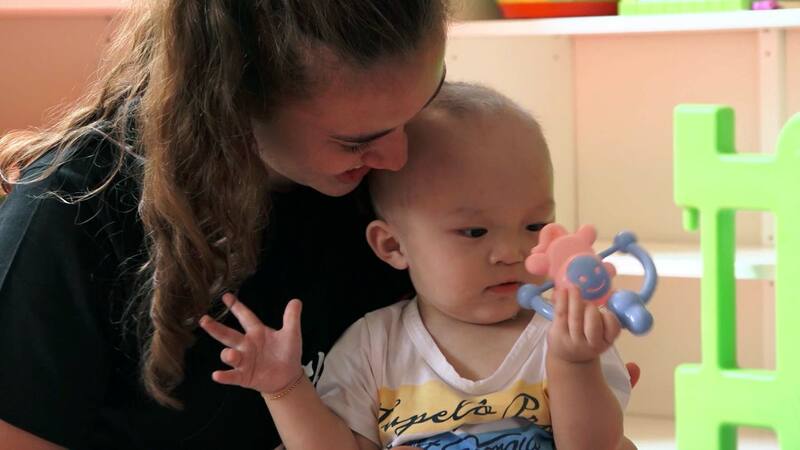 Vincent traveled to various NGOs involved in childcare throughout China to conduct interviews about how their operations could be affected. “This issue is engaging intellectually, but more importantly, it’s something I’m passionate about and something that has lit a fire in me and keeps me going,” she said. She also spent more time volunteering, helping China’s abandoned children any way she can. Produced by the Office of Public Affairs and Communications and the College of Arts and Letters.